The narrator of the Sherlock Holmes books is amazing!! How adorable is that cover?! I hope you enjoy! The cover totally drew me in! I've heard some varied thoughts surrounding Finding Audrey - I hope you're enjoying it. 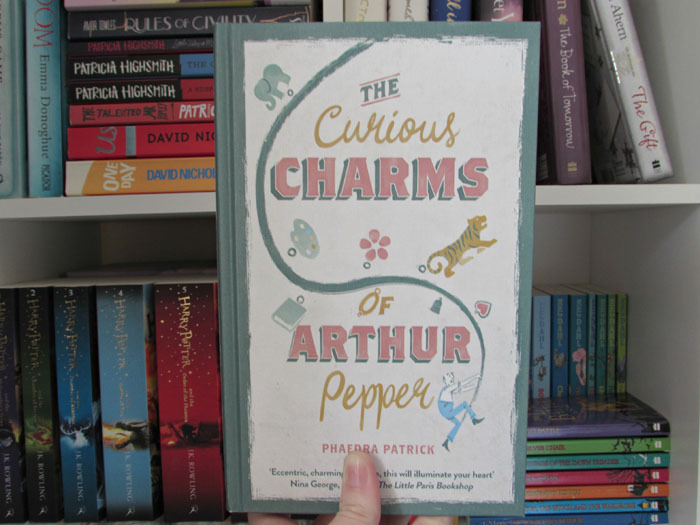 The Curious Charms of Arthur Pepper looks interesting and I have Sherlock Holmes on my TBR. I haven't read much and what I have read was so long ago I don't really remember. I'm taking a break from audio for a little bit to catch up on podcasts but my print book is The Language of Bees by Laurie R. King which is part of her Mary Russell/Sherlock Holmes series and on Kindle is a romantic suspense from Heather Graham called Haunted Destiny. Podcasts are something I haven't really gotten in to all that much, but I can imagine if you enjoy both podcasts and audiobooks then it could be a bit of a juggling act to find a balance between the two. I haven't made a whole lot of time for my audiobooks lately, and it feels like I've been rotating the same few for a while now - I'm hoping to focus a bit more on them this month and get a few finished off. I hope you enjoy all your current books. Happy reading!! I have this on my list to read soon - I can't wait to read what you think of it! I'm only about half way so far but I'm enjoying read... It's a little bit eccentric, but endearing at the same time.